Westland Real Estate Group celebrated the start of the new school year by donating school supplies to children at the Boys & Girls Clubs of Southern Nevada (BGCSNV). With the new school year just around the corner, Westland employees Ileana, Evelyn, Mayra, Tatiana, Jeeny, Sarai, Dena, Yanki, and Ruth, all arrived at the Boulder Highway Clubhouse to hand out the school supplies and make sure the kids were ready for their first day of class. 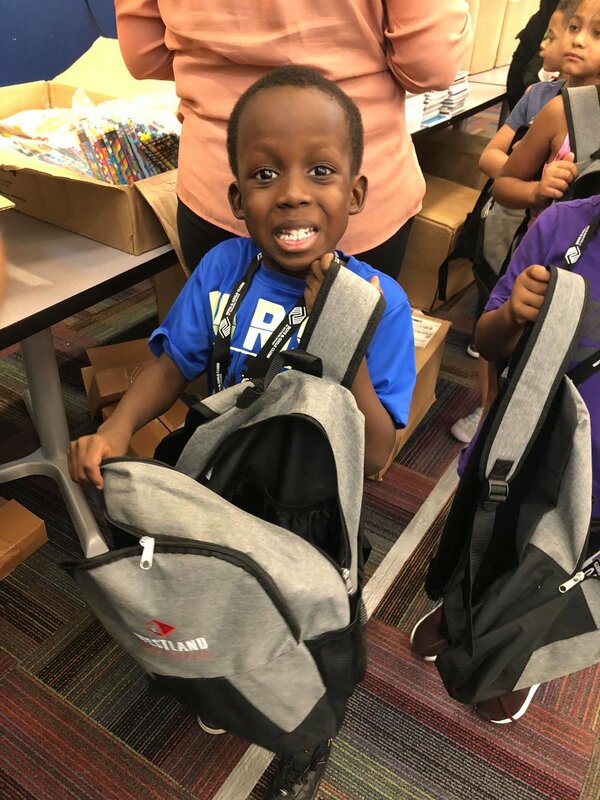 More than 100 children aged between 5 and 18 received backpacks as well as essential items like pencils, scissors, notepads, rulers, crayons and more - setting them up with the tools they need for a great start to the year ahead. The Boys & Girls Clubs is a non-profit after-school program with 14 clubhouses in the Southern Nevada area serving 22,000 youth.They provide a safe environment for the children where they can take part in fun, life-changing programs and form supportive relationships with peers and caring adults. Both Westland and The Boys & Girls Club have a mission to help people in our communities reach their true potential so it’s a great collaboration and we look forward to doing more with them in the future.